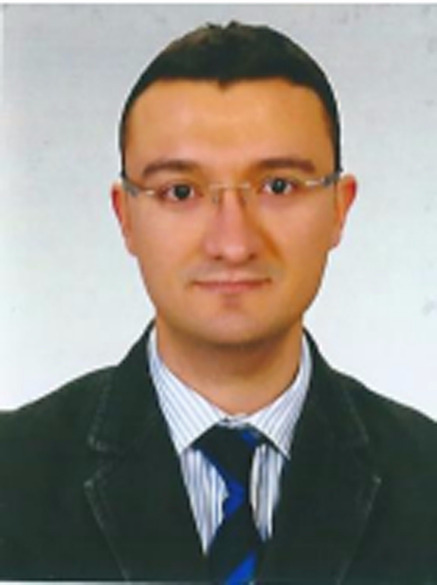 Dr. Gungor Cagdas Dincel completed his Veterinary Medicine and then received his Ph.D. degree in Pathology and Doctor of Veterinary Medicine (DVM) degree from Kirikkale University, Turkey. In research, he focuses on the pathogenesis of Toxoplasmic encephalitis (TE), diabetic neuropathy and virus/bacteria related neuropathology. He has a long history of basic and clinical research with extensive experience in mouse models of TE as well as biomarkers. He worked as an Assistant Professor in the Department of Veterinary and Laboratory Medicine and responsible for the Immunopathology Laboratory at University of Gumushane. Currently he is the College Vice Director of Eskil Vocational High School at University of Aksaray, Turkey. Neuropathology; Toxoplasma gondii(acute and chronic); Diabetic neuropathy; Nitric oxide and apoptosis. 3. Sari E, Dincel GC. Effect of piracetam and nimodipine on full-thickness skin burns in rabbits. Int Wound J. 2015 Jul 20. 4. Dincel GC, Atmaca HT. Nitric oxide production increases during Toxoplasma gondii encephalitis in mice. Exp Parasitol. 2015 Sep;156:104-12. 5. Dincel GC, Kul O. eNOS and iNOS trigger apoptosis in the brains of sheep and goats naturally infected with the border disease virus. Histol Histopathol. 2015 Oct;30(10):1233-42. 6. Dincel GC, Kul O. Increased expressions of ADAMTS-13, neuronal nitric oxide synthase, and neurofilament correlate with severity of neuropathology in Border disease virus-infected small ruminants. PLoS One. 2015 Mar 23;10(3):e0120005. 7. Atmaca HT, Dincel GC, Macun HC, Terzi OS, Uzunalioglu T, Kalender H, Kul O. A rare case of feline congenital Toxoplasma gondii infection: fatal outcome of systemic toxoplasmosis for the mother and its kitten. Berl Munch Tierarztl Wochenschr. 2013 May-Jun;126(5-6):216-9. 8. Türk M, Karahan S, Çinar M, Küçük S, Dinçel GÇ. Characterization of chondrocytes cultured on catechin-loaded alginate-chitosan scaffolds. Artif Cells Nanomed Biotechnol. 2013 Aug;41(4):240-8. 9. Kul O, Yildiz K, Ocal N, Freyre A, Deniz A, Karahan S, Atmaca HT, Gokpinar S, Dincel GC, UzunalioÄŸlu T, Terzi OS. In-vivo efficacy of toltrazuril on experimentally induced Toxoplasma gondii tissue cysts in lambs: a novel strategy for prevention of human exposure to meat-borne toxoplasmosis. Res Vet Sci. 2013 Apr;94(2):269-76. 10. Atmaca HT, Kul O, Dinçel GÇ, Terzi OS. Left ventricular mass in a Simmental calf: cavernous haemangioma. Tierarztl Prax Ausg G Grosstiere Nutztiere. 2011;39(6):391-2.